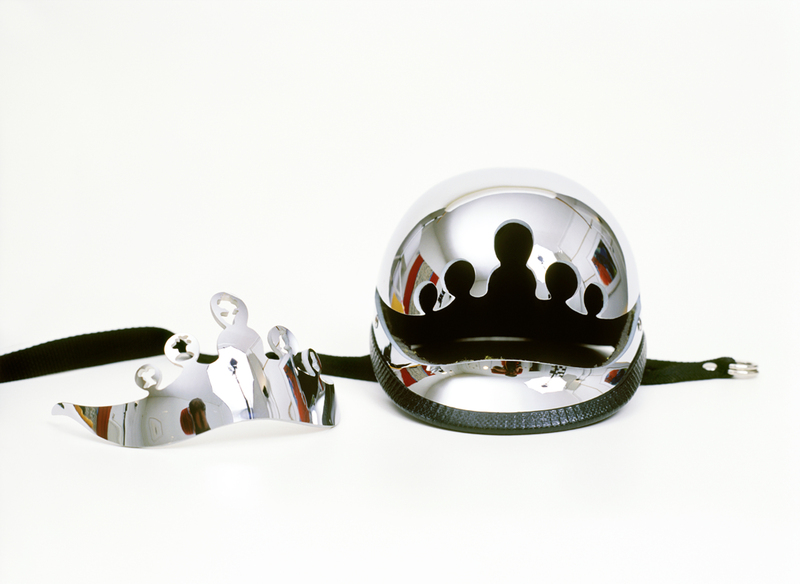 This 2002 tiara for Máxima Zorreguieta, the then soon-to-be crown princess (now queen consort) of the Netherlands, started out as a submission to a design contest organized by the Stedelijk Museum ’s-Hertogenbosch to celebrate the wedding of HRH The Prince of Orange Willem-Alexander to his Argentinian bride. 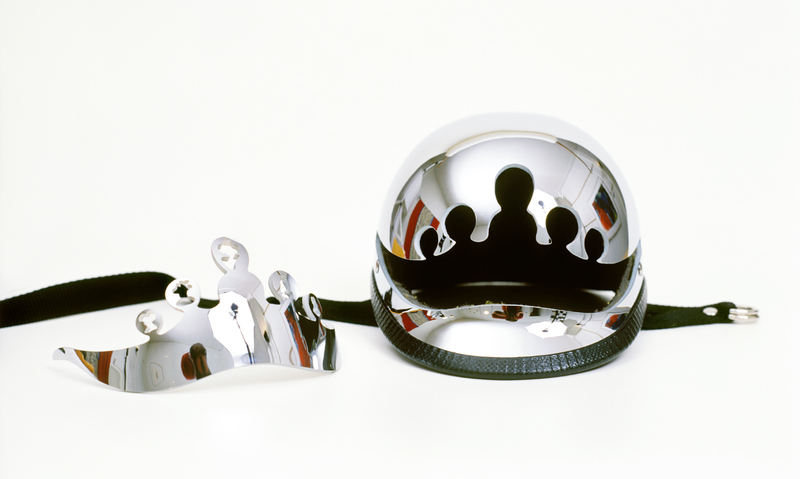 Ted Noten’s winning design was based on an existing ‘Bad Boy’ plastic polo helmet, which he chrome-plated for this purpose. Noten’s fantasy was that the princess would wear the helmet whenever she went out with her husband. If they were tailed by paparazzi, as Princess Diana had been, then the helmet would protect her. Furthermore, she would always have a tiara with her: Noten had carved one out of the helmet, and it could be removed and clipped back on at will. The ‘pearls’ in the tiara contain the cut-out profiles of her predecessors, the previous five queens of the Netherlands.